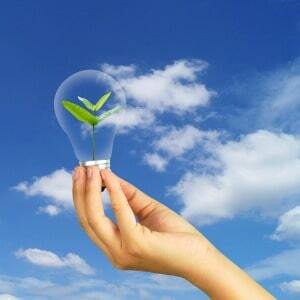 Sustainable investing (SI) has rightfully evolved to now be considered a mainstay of the global investment landscape. But as with all new concepts, once the initial gloss has worn off, it’s prudent to maintain a watching brief on potential issues and respond accordingly. In recent years, it’s become abundantly clear that incorporating SI into an investment strategy doesn’t detract from performance. In contrast, professional investors intentionally seek to leverage SI, and the payoff is two-fold – not only are they likely to benefit financially, but the ability to simultaneously recompense societal needs and requirements is also a driving force. Investors are increasingly looking to create more sustainable portfolios to meet the demands of their sponsors, participants and regulators. And then there is the socioeconomic perspective and the many global challenges faced by our generation and those set to follow. 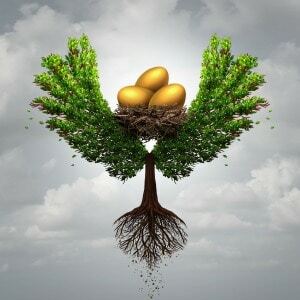 The natural consequence of moving from an exercise of pure financial gain to one that equally recognises non-monetary gains is leading to the emergence of a new investment industry – it’s an industry that has evolved from wealth creation, to one of wealth creation and well-being. Economic growth and SI: Can they comfortably co-exist? Each generation brings its own achievements and breakthroughs that contribute to improved living standards, health and well-being, economic development as well as a better understanding of the natural world. However, with an ever-increasing population, resources are buckling under the strain. The challenge for global economies is to grow in a way that can be facilitated by the earth’s natural resources in the long term without depleting them. While direct government intervention (such as the implementing of energy-based quotas and targets) can certainly help ensure that economic prosperity is long-lasting, targeted investment can be instrumental in the redeployment of capital to sustainable activities. A key role of financial markets is the efficient allocation of resources to the most financially viable companies not just in the present but, even more critically, in the future. 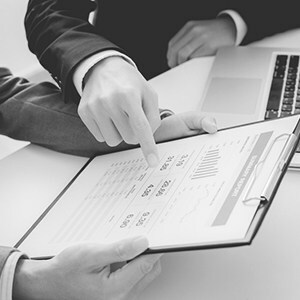 Financial viability assessments are dependent on a myriad of factors across the competitive landscape of companies and industries. Financial materiality is the critical link at the intersection of sustainability and business performance. Investors should focus on identifying the most important intangible factors that relate to a company’s ability to create long-term value. These are the critical competencies that produce growth, profitability, capital efficiency and risk exposure. In addition, financial materiality includes other economic, social and environmental factors such as a company’s ability to innovate, attract and retain talent, or anticipate regulatory changes. These matter to investors because they can have a significant impact on a company’s competitive position and long-term financial performance. In assessing the outlook for SI and how investors will approach this investment option in the years to come, it is generally agreed by SI specialists that there are some important environmental, social and governance (ESG) factors of note – for instance, climate change, inequality and cybersecurity, among others, are often held up as examples. These factors, or megatrends, can affect investors from a strategic perspective (climate change), a country perspective (inequality), and a bottom-up perspective (cybersecurity). While it’s universally agreed global warming will almost certainly worsen before it improves, the United Nations’ Paris Agreement ignited a degree of optimism among global jurisdictions in the mitigation of greenhouse gas emissions. The momentum and publicity afforded to the Agreement continues to shine a light on the efforts of world economies in each doing their part to live up to commitments made as signatories to the Agreement. It’s important for investors to assess the impact of climate change on asset class return expectations. The most significant physical impacts of climate change will be seen in the second half of this century, but the consequences for forward-looking asset markets may become apparent much sooner. When expectations for climate change are adjusted, the markets and asset prices will reflect these developments, possibly sooner than the physical changes of global warming make themselves felt. While overall inequality rates have fallen over the past 30 years, there is rising inequality within individual jurisdictions. Unprecedented events such as the Brexit vote (and subsequent withdrawal from the European Union next year) has had a similar impact on income inequality in the United Kingdom as Donald Trump’s election victory in the United States. There are a number of cited factors for rising inequality, but the most important seem to be globalisation (in particular, the supply of cheap labour), technology, migration, monetary policy and declining unionisation. Inequality can affect economic growth through different channels. On one hand, it can promote growth as it provides sufficient incentives to accumulate capital, increase productivity and investment, and reward innovation and entrepreneurship. It can, however, be particularly damaging as it causes poverty, contributes to a sub-optimal allocation of human resources, reduces social mobility, erodes social cohesion, and boosts populist policies. All of these can have a dampening effect on investment and productivity, undermine economic growth, and have the potential to cause macroeconomic and financial disruption. The third and arguably most surprising megatrend is cybersecurity. In 2017, 6.5 per cent of internet users were victims of identity fraud, with fraudsters stealing $US16 billion. Societies and economies are becoming increasingly digitised and connected. While this has many advantages, it also comes with increased risk. The 2018 Facebook/ Cambridge Analytica row concerning the exploitation of user data has put data ownership and related security matters firmly on the political agenda. The rapid growth in cybersecurity spending is providing ample opportunities for solution providers to start successful businesses. And while the market’s quick growth is providing solid returns, competition is fierce and success is not guaranteed, so investors need to take a highly active approach. By the end of 2016, there were $US22.9 trillion of assets being managed in responsible investment strategies – an increase of 25 per cent in just two years. While there’s no one-size-fits-all approach to SI, consensus has grown on what approach suits various types of investors best. Investors at one end of the spectrum only consider financial criteria, while those at the other only consider social and/or environmental criteria, including philanthropy. Institutional investors generally have a focus on strategies where sustainability is considered to mitigate risks, enhance value or create impact, alongside achieving competitive returns. Once an investor has decided their motives for investing sustainably, there are several different approaches they can choose from. These can be grouped according to the sustainability goal it wishes to achieve and implemented on a stand-alone basis or in combination with other approaches, (namely exclusions, integration and impact approaches). 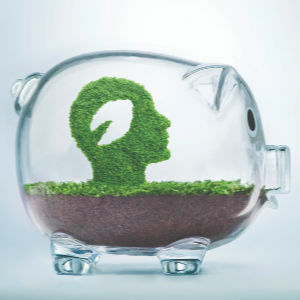 SI has become firmly entrenched in the mindset of many institutional investors, and it’s only going to gain in prominence, with companies, investors, regulators and society clearly increasing their focus on ESG. The Global Risks Report by the World Economic Forum shows social and environmental risks, with climate change as number one, are topping the risk list whereas more historically economic risks would prevail. ‘Rising income and wealth disparity’ was ranked third among the top risk trends that will shape global developments over the next decade. Regulation and stewardship codes are another driver pushing SI. For instance, whereas Asia used to be a laggard in sustainability investing, the region is catching up quickly. New stewardship codes are being introduced at a rapid pace and Robeco has endorsed the Japanese, Taiwan and Hong Kong stewardship codes. Masja Zandbergen is head of ESG integration at Robeco, and is responsible for coordinating ESG integration across asset classes.